helllllo lovers! so today is special for me because it is always such an honor getting an email from a blogger who wants to sponsor my blog...so I'm excited to introduce you to these fun ladies! clearly they're smart & great girls because they wanna be apart of the mess...so i love them already! Hi y'all! 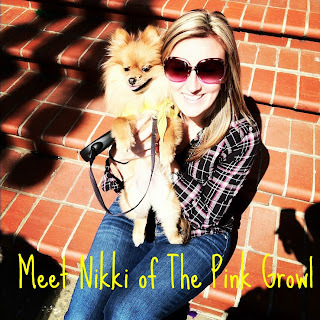 I'm Nikki and I blog over at The Pink Growl. 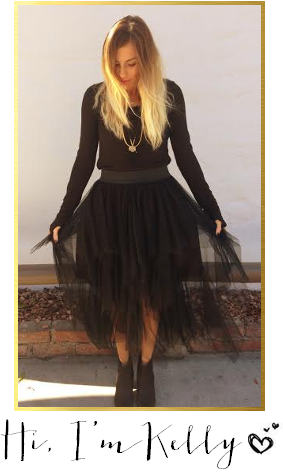 My blog explores the everyday adventures of a Southern belle wannabe. I'm a girly girl, soon-to-be cop's wifey, doggy mama, and Vol for life. If it glitters, is gold or growls then I probably love it. I keep it real on my blog talking about everything from weight issues, the urge to get married & reproduce, planning my wedding and any random crazy ideas that comes into my head. Come on over and help me figure things out, one normal girl struggle at a time! 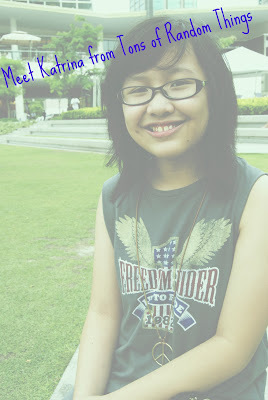 I'm Katrina Santos, I do have a lot of nicknames from my friends and relatives and I like all things simple, funny and interesting. I like listening to rap and hip hop, dancing and frequently exchanging banters with anyone. I started out my blog around September of 2011 and I'd like to say I started out ranting up to frequent what's ups until I learned that people actually read my stuff which shocked me and encouraged me to write actual stuff, together earning blogger friends which is amazing. I'm currently working on getting my own domain soon, to publish my blog to everyone I know, and possibly to earn a rank at TopBlogs PH. I've still got tons of days to go! Hi! 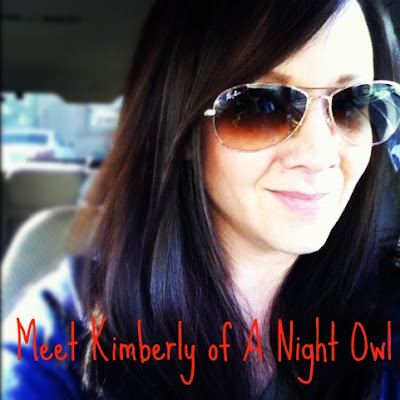 I'm Kimberly from A Night Owl, a blog about the evening antics of a working mom! I'm wife to my best friend Andre, and mother to two adorable boys, AJ and Alex. In my "spare time" I enjoy crafting, photography, thrifting, parties or a quick and easy recipe and have really enjoyed sharing this aspect of my life with all of you! 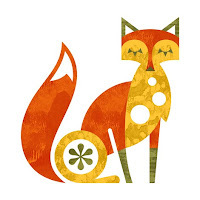 I love to connect with new friends and would love for you to come by A Night Owl and introduce yourself! Hi Friends! 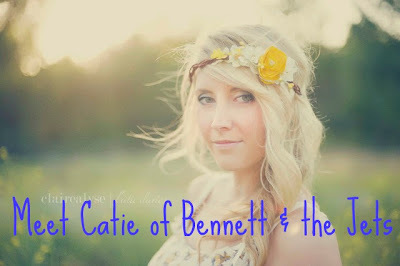 Momma Anaya here from Bennett and the Jets, but you can call me Catie. I'm a new mom, a new wife with an equally new life and as scary as change and newness is, I'm enjoying every minute of the ride. I was lucky enough to be blessed with the most loving of husband's and cutests of baby's and I thank God daily for the constant humility that they bring me. If you know me at all, you know I'm a writer and a dreamer...one who appreciates baby snuggles on Sundays and movie dates with my Husband. I love all things simple and crave just that...SIMPLICITY. Life would be so much nicer if it were simple, right? Come on over and share in the chaotic, beautiful but mostly humorous life us Anaya's live. See you soon! Aren't they so foxy...i love my foxes...so please go & visit their blogs & show them some lalala loveeee...& tell the foxes that Messy.Dirty.Hair. sent you! I always love it when bloggers have super fun and creative names! It makes me wish I had been more creative with mine! Oh I love Katrina S! She's so sweet :) And I kind of like that I see what's up back home (PH)! Thank-you so much for the introduction to all of these blogs, I can't wait to read them all! Thanks for sharing! Love finding new blogs!! Can't wait to check these ladies out! Already following one!! the Pink Growl is definitely one of the best blog names i have ever heard! haha. one of the best parts of sponsorship is getting to meet new bloggers! i need to remember to come back and check out these ladies this weekend! cool! I've been a fan of miss Nikki from the Pink Growl for days! They all look super fun! These are all new faces, so I will have to check them out when I get home!